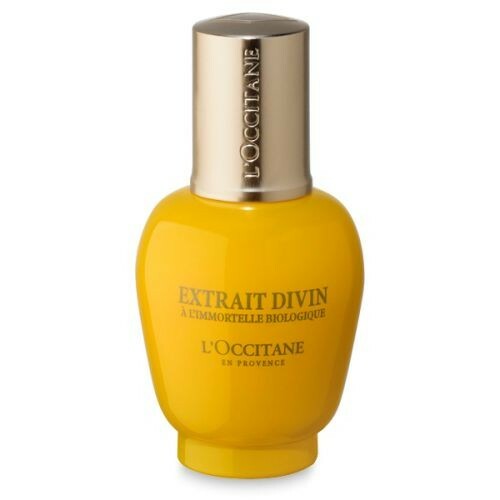 With 5 patents, the Divine Extract acts at the heart of cells* to visibly maintain skin’s youthful appearance and to help preserve its potential for regeneration. Upon application skin appears retightened (86%). After just 7 days, facial contours appear redefined (78%). The sagging of skin appears reduced (96%) and the overall structure of the face restored (94%). With its fresh, velvety texture, the Divine Extract sinks immediately into the skin to boost the global corrective effectiveness of the Divine Cream. Apply morning and evening on clean face and neck, before using the Divine Cream. Avoid the eye area. Don't get me wrong I like this a lot but the price is overwhelming (and I like Estée Lauder Advanced Night Repair Synchronized Recovery Complex which is nearly £150 per 100 ml). Forgetting about the price for a moment the first thing that strikes you is the scent which is strangely vague but still very nice. It transfers quite readily so it's best that you make sure you like it before using it. The liquid is has a slightly off white colour and is stiffer than I expected but it does easily spread. Absorption is okay but you can feel it on you skin and given that you're supposed to use it night and day across your face and neck I found it a little invasive. Overall I was indifferent to the results but there is no denying that this is a quality product (at a quality price). I love it! It has an amazing herbal scent! The texture is very light and is absorbed fast, without making the face greasy. It has immediate results - skin is tighter, fine lines are less visible and skin tone is more even. Works even better with the cream from this line! Divine but is it gold? If you are wealthy or really have lack of firming skin issues then yes but for Mrs Average the price is beyond even though it does seem to work at tightening quite well. I was thrilled to get a sample pot but won't be buying this. You do only need a small amount and it is a real instant feeling of coolness and tightening but even so the price puts me off. A divine serum that works! This really is divine. This serum has a lovely scent, easy to use and absorbs into the skin quickly. After using for 7 days I did notice a difference. The sagging around my jawline did look a little firmer, I am hoping over a longer period of time it will improve even more or at least stay improved. You only need a small amount for the face. I also used on my neck end decollate. My skin looked more refined and healthier after using for 7 days. A hard working serum that gives results within 7 days. Easy to apply and absorbs quickly. Leaves skin feeling soft and supple.